Send it to us. We will reply and request a photo to go with it. If you don’t have one, that’s okay. We’d still like to post your story! 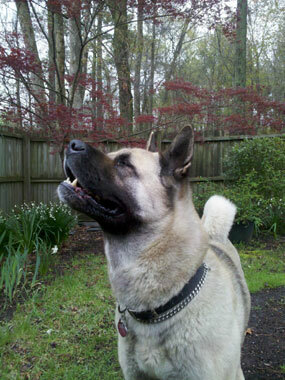 Ken was diagnosed as heartworm positive six months ago, shortly after joining our family. As an inexperienced dog owner I was overwhelmed by the serious implications and the sheer responsibility of a life totally dependent on my decisions and actions. The first vet informed me of the necessary procedures, of the injections and total crate rest, which further underscored the challenges ahead. Ken was then a seven year old and categorized as a “senior.” He was also stressed and anxious from relocation and neutering, which appeared to have exacerbated other conditions that surfaced one by one in later days. My decision to seek alternative treatment was due primarily to the required crate rest and his age. While relocating, Ken had attempted to chew himself out of his crate, taking out a huge chunk of what he could reach on the lip of the crate floor. I simply could not stand the thought of Ken having to suffer through a serious medical condition and treatment while being returned and condemned to a crate without understanding why. I was concerned that his spirit would be broken for the rest of his life, without enough time to recover from the experience. Fortunately a co-worker let me borrow books and informed me of natural rearing and holistic treatments. From that point I searched the net and was very pleased and relieved to find Bandit’s Heartworm Program. Ken began the standard program with a change in his diet to include homemade cooked food. In accordance with noted responses to natural treatments, his body responded with hot spots, shedding and other expressions of the body attempting to purge and heal. Again, as an inexperienced pet owner, this phase was really scary at times but I found hope, patience and optimism in words of the experienced: “it gets worse before it gets better” (Dr. Pitcairin?) and encouraging testimonials by other pet owners to stick to the program and remain consistent. Ken was checked for heartworms on December 5, 2011 and the test was negative! All his patience and determination to get through every challenge was as if to show gratitude to all who have helped him along the way and to people like you with the passion to act, educate and help. I sincerely hope that many more will find your program to be a safe and effective alternative cure when faced with the devastating diagnosis of being heartworm positive. I would also like to share some tips, like those before me, that I hope would be helpful to others: Ken took the Artemesia Combination eagerly with a spoon of yogurt, which is noted as containing a good amount of fat to help the body absorb the herb. Adding weight appropriate levels of fish oil as advised by his new vet was helpful in treating skin conditions. Ken also had other immunity boosters such as apple cider vinegar and honey. He also had quick oats soaked in almond milk and chopped apples (in hopes of keeping him regular) and minced ginger mixed in plain, regular fat yogurt for breakfast. At the beginning of Ken’s treatment and food transition I prepared low protein dinners with white rice (easier to digest) and lots of veggies. Ken loves sweet potatoes, pumpkins, grated carrots, bok choy and sea vegetables such as shredded nori (dried seaweed used for sushi) and dried kombu and wakame soaked in water. Kombu and wakame need to be rinsed to wash off excess salt prior to soaking, with liquids being excellent to add in meals to aid thyroid conditions. I gradually added more protein then transitioned to quality dog food, now mixed with his favorite goodies, drizzled lightly with sesame oil. The vet technicians complemented on how soft he was and his coat is now even, thick and glossy. We have had our Bichonpoo on Bandit’s program since September 15, 2010. We also continued to give him the monthly heartworm preventative. Today (April 5, 2011) he had his first heartworm test since being on the program. IT WAS NEGATIVE!!! We are so happy and can’t thank you enough. Stanley, a Golden Retriever, who is approximately 9 years old, had a slight positive heartworm test in June, 2008. We had him scheduled for the treatment our veterinarian had suggested, but really didn’t feel at peace about putting him through such a treatment at his age. I did some internet surfing and came upon Bandit’s Heartworm Program. I take Nature’s Sunshine herbs myself and know the quality of the product, so my husband and I thought it was worth the shot to try this program. I gave Stanley the suggested program; he is SO easy to give pills to so that was not an issue at all! He coughed maybe twice, but I didn’t put him on the Yucca. He responded very well to the routine and didn’t let us forget every night to give him the Artemisia Combination (treats with cheese)! In November, 2008, I had him retested with the same vet. The vet tech came out with the snap test in hand and said he was still positive. They showed me that there was a bit of blue showing on the test. While getting his records for another issue (a lipoma) in March of 2009 I noticed that the heartworm test that had been taken in November was documented as negative. I called the vet about the confusion and she said, probably the computer at the lab saw that it was so slight that it read the test as negative, BUT he is still positive! So, I had Stanley retested April, 2009 and the vet tech came out and said it was negative and I joyfully said, “It looks like the herbal program worked. The tech then said, “Well, wait a minute, maybe I better go ask the Dr. to check it.” So, she came out with the snap test in hand and said, “Looks like it turned positive when I was out talking with you.” She then pulled out the snap tests to show me the faintest water colored shade of blue in the corner of the top of the paper. I told her that it was read as negative back in November by the computer when she told me it was positive. She just replied, “Well, I’ll make sure they know it is positive this time.” I believe the lab results of both tests were negative although I was being told they were positive. I went to the dog park in May, 2008, where I saw this beautiful American Pit Bull Terrier that was torn up, looked sad, and was just sitting there letting people pet him. He looked so fierce, but was obviously not aggressive. I got up close to him and he had obviously been used for fighting, then dumped. Against everyone’s suggestions …and pleading to just let Animal Control euthanize him because he was a lost case, I took him home before Animal Control could show up. I got him to the vet, had him stitched up, and found out that he was terribly infested with every kind of worm imaginable, including a full blown case of heartworms! The vet was positive that he was too weak to undergo treatment, and said that we would try to get him a little healthier and treat him. I cried that night thinking that I was going to lose him before he had a chance to know what love is, or to know the joys of life instead of the fighting ring and the evil people that run those operations. 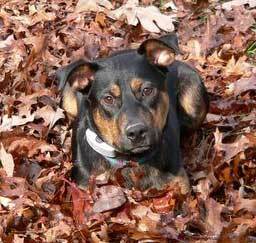 I started researching and found Bandit’s Heartworm Program website. I was really skeptical, but what did I have to lose? He was already going to die if I didn’t do something. I had always used herbs for everyday things. However, I had never been faced with something this big! We began our regimen immediately. I noticed how healthy he was becoming, and how strong he looked. I took him to the vet in early June, 2009 and the vet bragged on how good he looked, and said that he was definitely strong enough to undergo treatment for the heartworms now. But, there is no need for him to have dangerous chemicals injected into his body. He is happy and healthy and heartworm free! In just one year he looks and acts like a different dog! I have already started telling all of my friends about Bandit’s Programs. They are witnesses to how bad he was, and to how good he is now. His heartbeat is nice and strong, and the vet didn’t want to believe that ‘herbs’ helped him, but the proof was in her hands in the form of a negative heartworm test! The whole vet office was very happy, and everyone came out to see our handsome survivor! I want to thank you for the wonderful information about Bandit’s Heartworm Program. I was given a female boxer four years ago. She was three years old and had heartworms. I used your program for about a year and had her re–checked. The vet was shocked that the heartworm test came up negative. It was almost that she could not believe that heartworms can be treated with natural herbs! By the way, this was a veterinary clinic on a military installation. Frankie is a 3 year old, 89 lb., Greyhound/Great Dane mix. Frankie tested positive with the beginning of phase 2 heartworms at the end of January, 2008. We spoke with our vet and we scheduled Frankie to go in for the shots the following week. We were told the side effects were bad and he would have to be very limited in his movements for at least a month. We were very concerned and did some research online. Everything we read about the traditional, toxic treatments really scared us. He was going to be injected with arsenic. My friend’s dog had died from the treatment just a few months earlier. We just couldn’t do that to our sweet dog. We found Bandit’s Heartworm Program site and it gave us hope. We contacted Robin and researched it on our own as well. To be quite honest, it was a hard decision to make. We did not want to harm Frankie with the traditional treatments, but we didn’t want to risk him getting worse if the herbs failed. After much back and forth, we decided to put Frankie on the herbs. He was not crazy about taking all those pills everyday in the beginning but it became routine soon enough. We kept him on a leash when we walked and tried to keep him calm; as calm as you can keep a 3 year old bouncy pup like Frankie! 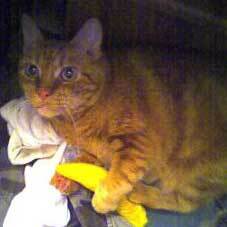 On July 28, 2008, Frankie scraped himself and we took him to the vet to get a few stitches. She checked his chart and saw he had tested positive for heartworms and it did not show that any treatment was given to him. She asked us about it. We told her that we had been giving him herbs for the heartworms and her face went pale. She insisted he be tested immediately. We thought it was a little early to test him but we agreed to the test. We were all shocked when the results came back negative. Negative! After only 6 months! Andrew and I were jumping up and down, crying and hugging Frankie. We now have Frankie and his brother, Jackson, a 5 year old, 110 lb, Australian Shepard/ St. Bernard mix, on the Bandit’s Maintenance & Preventative Program of Artemisia Combination and Black Walnut. In memory of Anais: I want to share this story with you. Anais was born on January 1994. She was a Pomeranian. She was a loved dog who was well taken care of. During her first ten years of life I had her heartworm prevention, however, I missed a few times and I started to hear a light cough, so I decided to do the test. On June 17, 2004 she tested positive for heartworms. This was devastating. The vet told me that the typical chemical treatment was very risky for a 10 year old dog. I did not want to take any risks with Anais. I started looking for natural alternatives on the internet. I found the information about Bandit’s Heartworm Program. I contacted Robin immediately and I decided to give it a try. As soon as I received the Nature’s Sunshine Products I started the program. I gave Anais the herbs for six months and decided to give her the prevention again. Three years later, on a visit to the vet, I told the doctor about the natural treatment for heartworms I had given her. I asked him to test her again, since I wanted to know if the treatment had had good results. For the vet’s surprise, she tested negative for heartworms. Abby is my lovely, mixed-breed rescue. I am not exactly sure of her breed ancestry, but she has some Rottweiler and judging from her coat and body, some Shepard, Lab and Greyhound. I adopted her at 4 months old in the summer of 1998 while I was living on the east coast of Florida. In 2000, she tested positive for heartworms. Her vet at the time said that if she didn’t get treatment, she would eventually get sicker and sicker and then die. I had heard that the treatment for heartworms is very hard on the dog’s body. I did not want to put Abby through such a regime. I also at the time was participating in a canine raw-food feeding email list and one of the other members who was quite knowledgeable about natural treatments told me “animals in good health can live with a few parasites.” That quote was very helpful to my resolve on this. I did not want to give Abby a drug treatment that would possibly damage her organs, and I preferred to try all the natural routes first. In early 1999, when Abby was one year old, she was unfortunately exposed to pesticides that my family member had sprayed on our lawn. At the time, Abby was on Heartgard. Since the lawn pesticides from that one exposure had a negative impact on her, I decided to do all I could to help her detoxify. One year later, she tested positive for heartworms. Her vet at the time was incredulous that I did not want the conventional treatment for her. 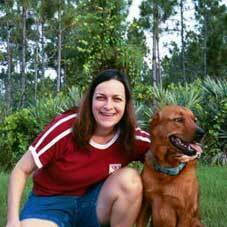 I had heard of a holistic vet in Ocala, FL, Dr. Gerald Wessner, and with his help, got Abby started on a regime of herbs and homeopathy. During that time, from 2000 to the fall of 2005, Abby continued to test positive for heartworms, even though she was a very active dog and in seemingly good health. But in the fall of 2005, I became very worried. Her breathing at night seemed to be labored, and I was afraid that the heartworms were taking their toll on her lungs. I went to a conventional vet who recommended immiticide treatment. I still was not willing to subject her to that. I considered trying Heartgard to get rid of the worms, and the vet concurred to that as a possible solution. 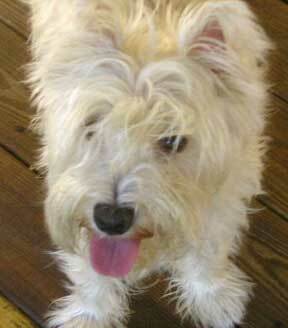 I gave Abby one Heartgard pill in Jan, 2006. She seemed to have a hard time with it, and I discontinued use. In spring of 2006, I found Bandit’s Heartworm Program. Robin sent me a very insightful article about the hazards of treating heartworms with Ivermectin. That confirmed my decision to avoid it. I decided to try Bandit’s Heartworm Program. I used the herbs that Robin recommended from Nature’s Sunshine. I gave Abby the Artemisia Combination and CoQ10 daily. I gave Black Walnut a couple of days a week. I alternated those herbs with other homeopathic remedies for lung and heart function from Dr. Don Heinert here in northwest PA. I also gave Abby raw garlic chopped fine in her ground beef on the advice of another herbalist. I feed Abby a raw diet of bones, with some ground meat mixed in. Recently, on August 2, I took Abby in for some blood chemistries and a heartworm test. Her blood and urine came back normal and to my utter joy, her heartworm check came back NEGATIVE! I am so thankful to those who believed in the healing power of nature, like Robin and Dr. Heinert. Dr. Heinert had told me that if I had gotten Abby treated for heartworms back when she was first positive, she would most likely have died young from liver and kidney problems. Robin provided the affirmation that I needed, actually finding out about other dogs who encountered heartworms and survived. After heartworm diagnosis I wrote you seven months ago about my cat, Fafhert, who had heartworm. We had discussed herbal possibilities for treatment. Here is the update! I did a lot of research after the diagnosis and found that in the herbal area, there was a lot of contradictory advice about herbs. Some the recommendations were very complicated and included herbs that were not recommended for use with cats at all. My feeling was that there is some fundamental difference between dogs and cats that is indefinable and subtle. I was reluctant to explore the area by trial and error. I also found a scientific article that basically said, in very unscientific language, something to the effect that some cats make it and some don’t and they don’t know why. The upshot was that I have become much more philosophical about the whole thing, difficult though the waiting game is. I found a simple approach by giving my cat good nutrition and boosting the immune system. This seemed to be the most effective. I switched his cat food to human grade high quality food and gave him CoQ10 daily along with 5 mg prednisone daily for about two months. Later, he refused any pilling at all, so shortly thereafter I stopped giving him the CoQ10 and had stopped the prednisone before that. He has done fine for several months. 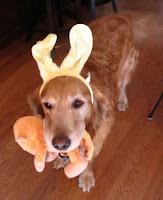 Cassie was diagnosed with a moderate case of heartworms during the Summer of 2006. She was 3-years old at the time and although she acted like a playful puppy she would appear to get short of breath after her walks. The vet wanted to get her on the conventional treatment right away, but agreed she wasn’t the perfect candidate for this treatment as it would obviously be hard to keep her calm and confined so she suggested possibly keeping her on Benadryl during the program. This horrified me and I came home and started searching for an alternative solution. Thankfully I came across Bandit’s Heartworm Program and immediately ordered the products, which she started July 23, 2006. Cassie was 17-lbs at the time and I kept her to the program that Bandit had been on and changed her to a healthy diet. I also took her off the monthly Heartguard, however, when my husband heard of this he wanted to get her back on the Heartgard and insisted we take her to the vet to see if the heartworms had increased during the time she had been off the Heartguard. We went to the vet in November for the heartworm blood test and while waiting for the results I told the vet about the herbal formula I was using, she appeared to have heard about it, but quickly said it doesn’t work. When the vet came back into the room you could see a stunned look on her face before she told us. You know the “how is that possible” look! She said Dakota’s blood test came back NEGATIVE and that she was heartworm free. I wished we had a camera with us. She was just as excited as we were. The vet asked what we gave Dakota and we told her. She wanted me to call her with the more detailed information. I started my little rescue Pomeranian named “Pumpkin” on Bandit’s Heartworm Program on July 17, 2006. He is at least 10 years old and had a strong positive heartworm test. He is a dog I rescued back in April that was totally neglected and starving and I just thought I was bringing him home to provide him with a soft and gentle place to die. He has totally snapped back and now carries on like a pup. The difference in him in just under a month is so noticeable. Two years ago we adopted Courage from the Animal Haven (no-kill shelter) and were devastated at finding out that he had heartworms. We used Bandit’s Heartworm Program for his weight group (he was 30 pounds) for about 4 months and he seemed better, had more energy and seemed all around happier. We continued with the all-natural food over the last two years and he has seemed more energetic with each passing day. The day I brought Jake home from the pound he was so mangy and his skin was red and irritated! He had a rash all over his tummy. The following day, we visited the vet. I found out that he had a host of problems: heartworms, other parasites and raging ear infections (ugh!) to name a few. With antibiotic ointment dripping from his ears, you could tell he felt miserable! I was told by the vet that I would need to treat him with Ivermectin for his heartworms. He also believed the irritated skin was due to allergies and gave him a steroid shot. Turns out, Jake did not have allergies, but a yeast infection of his skin (as I found out later from another vet). The steroid shot made a bad situation even worse, by compromising his already unhealthy immune system even more, allowing the yeast infection to spread like wildfire! I brought him back several days later, after his fur began to fall out, at which time the vet then said he believed Jake had mange. He told me to bring him in for the first of four medicinal baths, which I stupidly did. This must have been torturous for Jake! I began doing research online about Ivermectin and started searching for alternative heartworm treatments I came across your website. 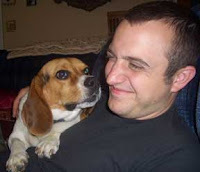 Three days later, Jake was on the Bandit Heartworm Program. Ta-Da! He is doing fantastic on the Bandit Program! He has sooo much more energy. He is only about 1-3/4 years old and now he acts like it. His fur which thinned out severely after those misdiagnoses (all the fur on his tail completely fell out) is coming back! I have been treating Jake herbally for his yeast infection, and though progress is slow there, I believe the herbs are working. For the heartworms, I am following your recommendations for a dog that is 30+ pounds (he weighs about 35 pounds). At first I gave the Artemisia Combination to him dry, and poured the CoQ10, HS II and Black Walnut in his food. But sometimes he wouldn’t eat the food. I now use peanut butter with all his capsules. For his yeast infection, I have used a spray bottle which I fill with colloidal silver, and I’ve added a few drops of tea tree oil, and probiotic powder. I spray the irritated sites 2 or three times a day. In addition, I give him a probiotic capsule, along with a yeast cleanse herbal supplement. The yeast cleanse is given morning and night along with his meals. To his meals, I add a large scoop of plain organic Stonyfield Farm yogurt (which he loves). Finally, I give him a chewable healthy coat supplement each day, and I bathe him once every 5 days with an herbal shampoo. I’ve added tea tree oil to the bottle of shampoo.